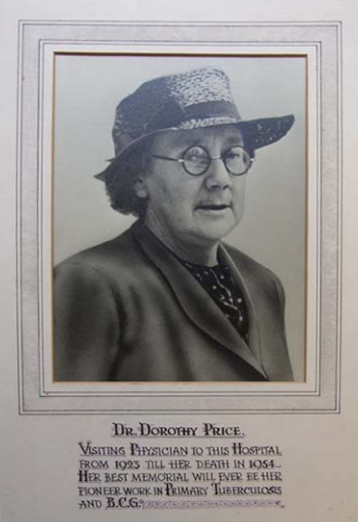 Dorothy Stopford Price (1890–1954) was born in Dublin, on September 9th 1890. She was the daughter of Jemmett Stopford, who worked for the British-run civil service in Dublin, and Constance Stopford, whose father, Evory Kennedy, was master of the Rotunda Lying-In (maternity) Hospital. 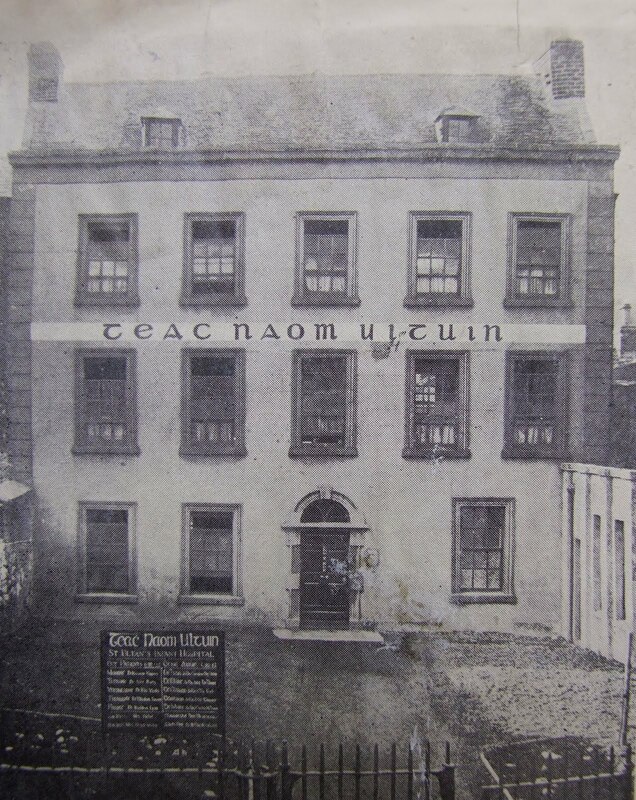 The Stopford family had a long history in the Church of Ireland. Dorothy’s paternal grandfather had been the rector of Kells, her great-grandfather the bishop of Armagh and later of Meath. The 1901 Census shows Jemmet, Constance and their children Alice, Edith, Dorothy and Robert living in the townland of Terenure, Dublin. The births of the children are registered at different addresses in south Dublin. In 1887 they were living at Roebuck Lodge, Dundrum, in 1890 at Newstead, Clonskeagh, and in 1895 at 28, Highfield Road, Rathgar. Jemmett Stopford died from typhoid fever in 1902 and the family moved to London. Dorothy went to St Paul’s Girls’ School there, and in 1915 returned to Dublin to study medicine at Trinity College. She spent the Easter holidays in 1916 at the Under-Secretary’s Lodge at the Phoenix Park, home of Sir Matthew Nathan, one of the key figures in the British administration of Ireland. 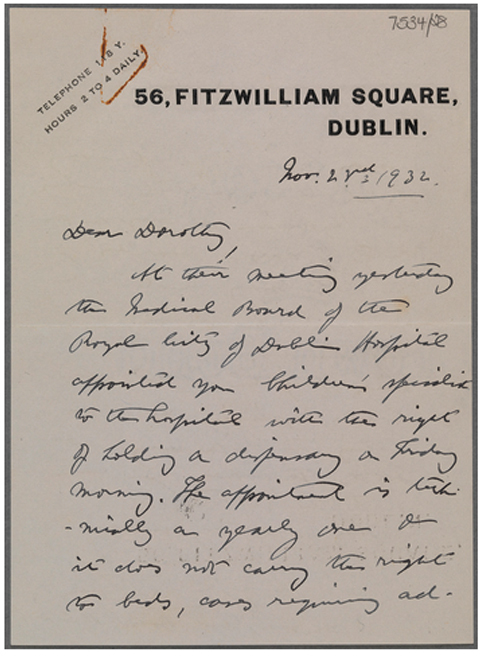 She clearly had sympathy for Sir Matthew, but she also became increasingly sympathetic to the 1916 Rebellion against British rule, which took place during her stay at the lodge. 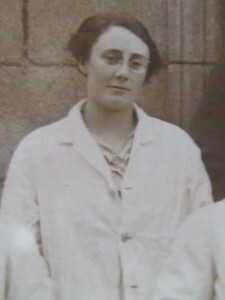 Dorothy Stopford at the Meath Hospital, undated. Photograph courtesy of Dr Ida Milne. 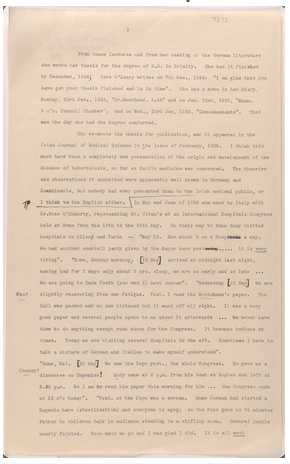 Her diary of this period, from April 21st to May 6th 1916, provides us with a fascinating insight into one of the most defining moments in Irish History. The diaries record the views of a middle class Protestant woman and her friends, an unusual perspective on this time in Ireland. 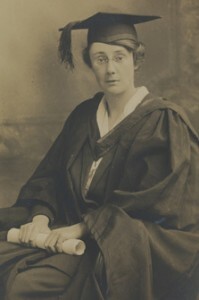 Dorothy’s nationalist views were strongly influenced by her aunt Alice Stopford-Green, who had set up the Africa Society in London, to campaign against colonial abuses. Stopford-Green had met Irish patriot Roger Casement and Sir Matthew through this society. After graduating as a doctor in 1921, Dorothy Stopford worked at the Kilbrittain dispensary in Cork, where she became medical officer to the local IRA brigade, and lectured on first aid to the women’s republican society, Cumann na mBan. She resigned from the post in 1923, and two years later married Liam Price, a barrister, district justice and local historian from Wicklow. They lived in Fitzwilliam Square, Dublin, and had no children. Stopford Price worked for the rest of her life in St Ultan’s Hospital for Infants and in Baggot St Hospital, both in Dublin. 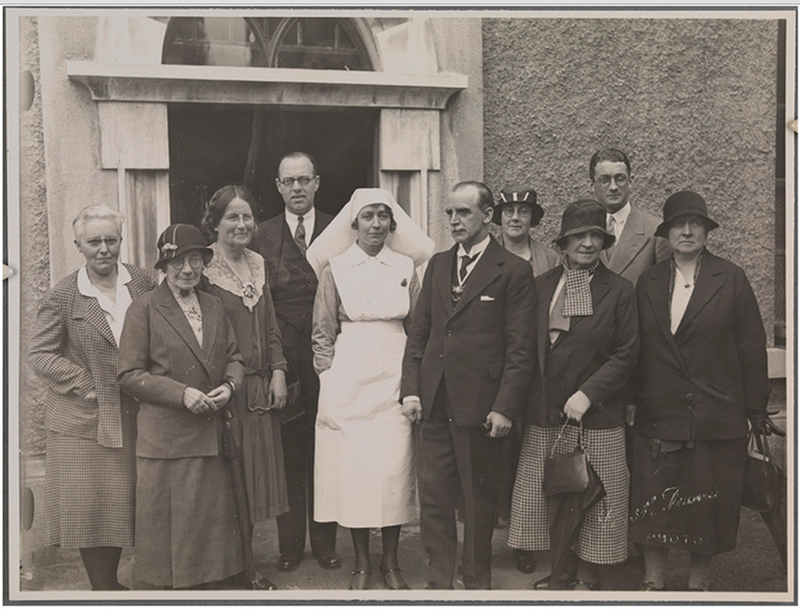 She studied the TB vaccination (BCG) on the continent and pioneered its use in St Ultan’s in 1937, making it the first hospital in Ireland or Britain to use the BCG. She may have been motivated to pursue the idea of immunisation by the death of her father from typhoid fever, which by 1911 was also being combatted by vaccination. She was nominated for the World Health Organisation Leon Bernard prize for her contribution to social medicine, and was chairman of the National BCG Centre, set up at St Ultan’s in 1949. She was also consulting physician to the Royal National Hospital for Consumptives in Ireland. Her workload may have contributed to an attack of muscular rheumatism in 1939, and a stroke in the late 1940s. She died of a second stroke on January 30th 1954. 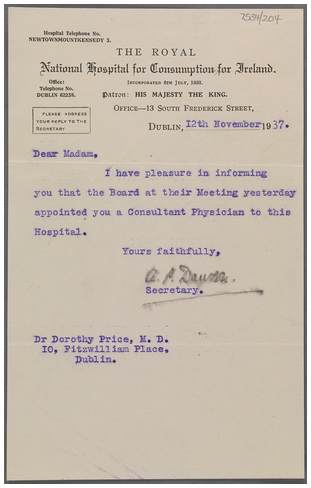 Letter appointing Price as Consultant Physician to the Royal National Hospital for Consumption in Ireland. 12 November 1937. TCD MS 7534-204. 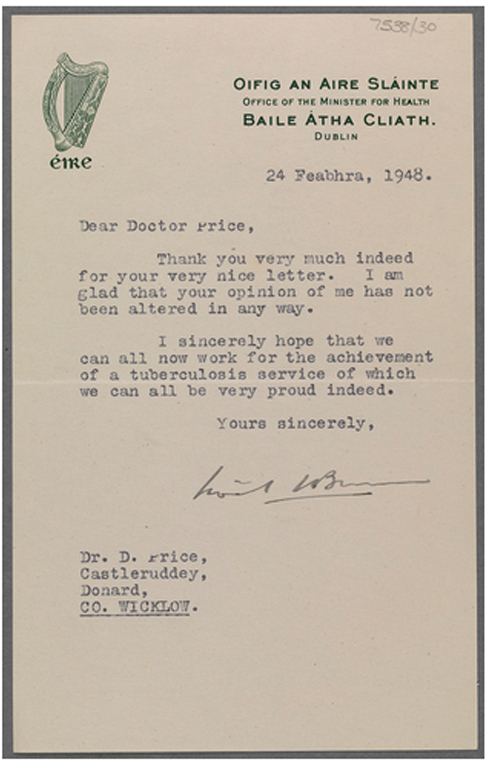 Letter appointing Price as Children's Specialist of the Royal City of Dublin Hospital. 23 November 1932. TCD MS 7534-28. The Sunshine Home. Price worked there during the 1920s and 1930s. TCD MS 7535/25. 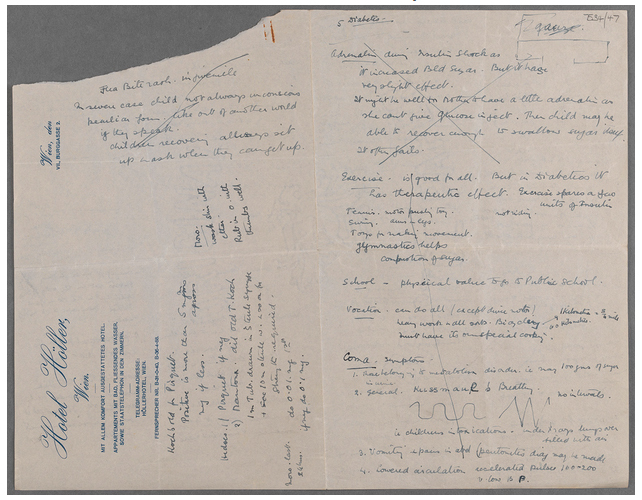 Notes taken by Price in Vienna in the mid-1930s. TCD MS 7534/47. 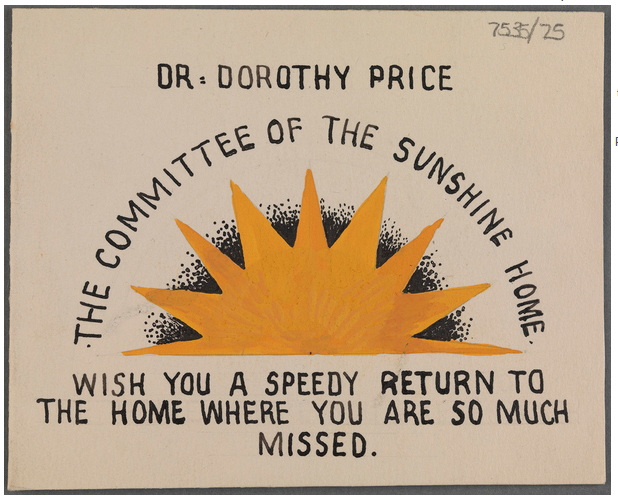 Package from Anders Wassen to Dorothy Price, formerly containing BCG vaccine. 26 January 1937. TCD MS 7534/158a. 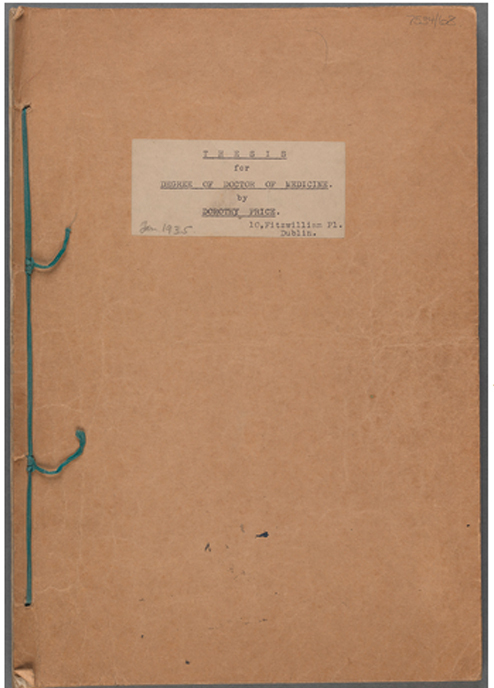 Dorothy Price's thesis for Degree of Doctor of Medicine, Trinity College Dublin. January 1935. TCD MS 7534/68. 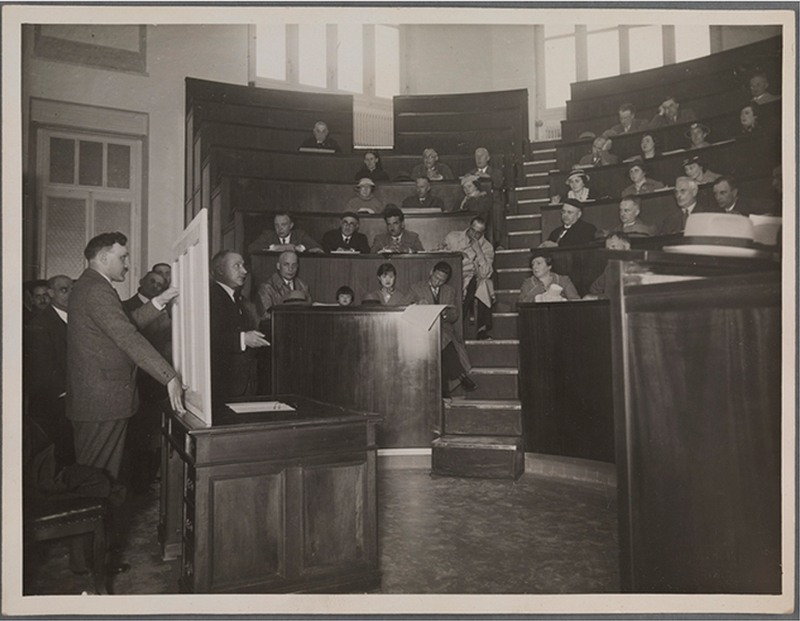 Photograph taken during a lecture at the Ospedale Maggiore, Turin, 1935. TCD MS 7534/83. Dorothy Price with the St Ultan's founders. TCD MS 7534/139. 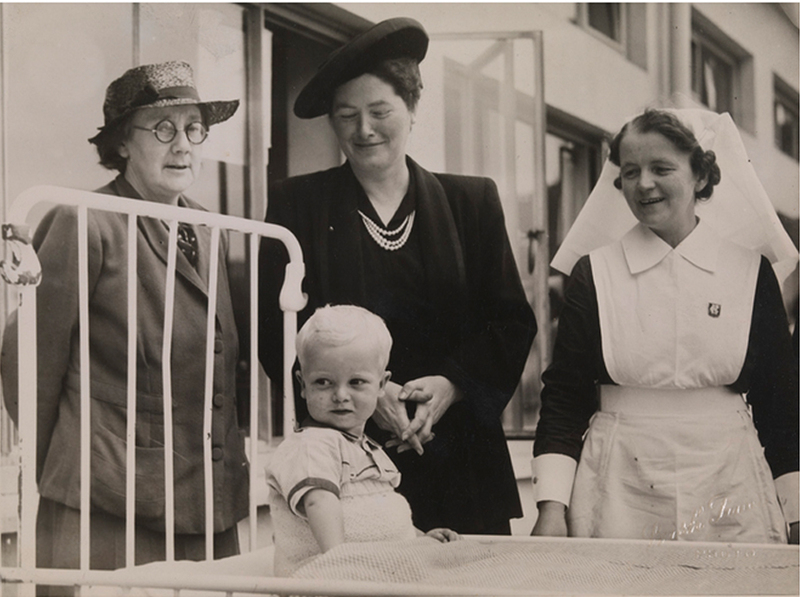 Photograph of Dorothy Price with a nurse and a patient, possibly at St Ultan's Hospital. 29 May 1947. TCD MS 7537-208.